1. Faux. 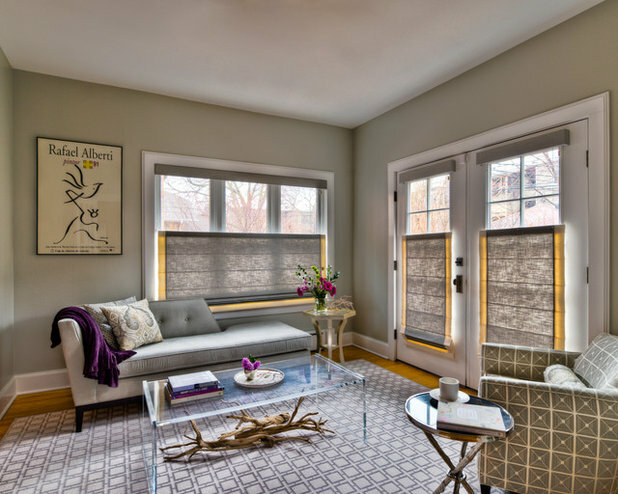 Nonfunctioning, or “faux,” shades like this one freshly launched by Prospect + Vine are perfect for those who want a pop of color in the window, but who don’t need the functionality of a shade that fully extends. 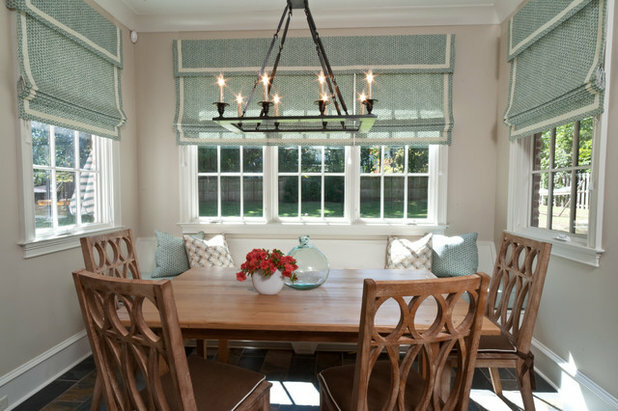 As a bonus, faux shades can bring custom design into a more affordable price range, as less fabric is required and the construction is a bit simpler. 2. Top-down, bottom-up. 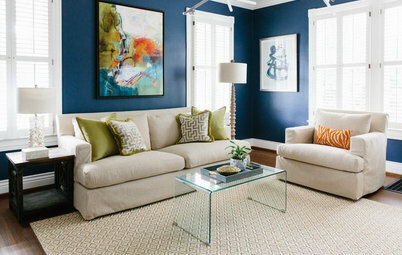 This darling sitting room is about as welcoming and comfortable as a space can be. 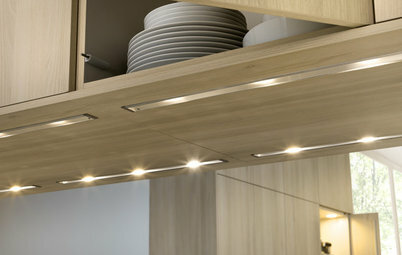 It owes its allure in large part to the delicate filtration of light through the semi-opaque top-down, bottom-up shades that allow the homeowner to shut out glare without blocking all the light, no matter where the sun lies in the sky. 3. Woven woods. Think beyond fabric when adding tailored custom shades to your bedroom. In this Kiawah Island, South Carolina, vacation home, the looming ceiling and the prim and proper skirted chairs could have lent an ostensibly formal vibe to this master bedroom retreat, but the savvy designer softened the look with woven wood shades that keep the space classy but still down-to-earth. 4. Fabric. 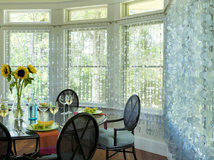 To me and so many other decorators, shades have always reigned supreme as a way to personalize a windowscape. 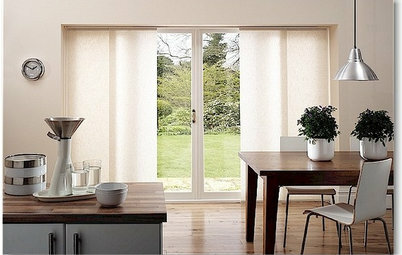 That’s because shades are nearly always custom-made to fit unique windows like a glove, and the range of available fabrics is nearly limitless if you shop around or hire a designer who has access to showrooms that sell only to the trade. 5. Oversized. Conventional draperies would have worked beautifully for these windows, but the shades create a completely different vibe. 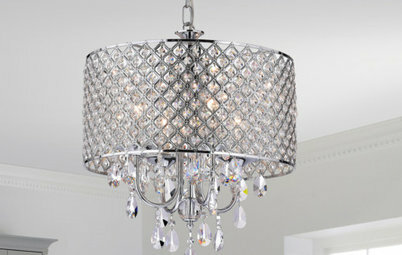 The beauty of shades is that they can be constructed to fit virtually any size window. 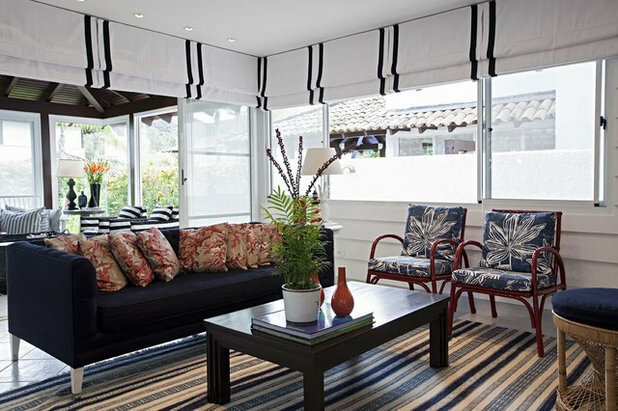 Most home decor fabrics hover around 54 inches wide, so bear in mind that seams are often unavoidable in larger shades like these, but in the hands of a skilled fabricator, they can be made barely perceptible. Good for: A feature-wall effect that’s more easily changed than wallpaper. Also, an alternative to draperies for uniquely sized windows. 6. Deco fold. I can hear the objections already: “Won’t a shade inhibit the opening and closing of the doors?” While it is certainly true that we most often see shades mounted within the door frame, this designer’s intriguing placement of a single large deco fold shade above the French door serves as a most functional, if unconventional, alternative to draperies. 7. Within the frame. 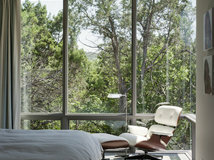 Shades are the cornerstone of a richly layered window. 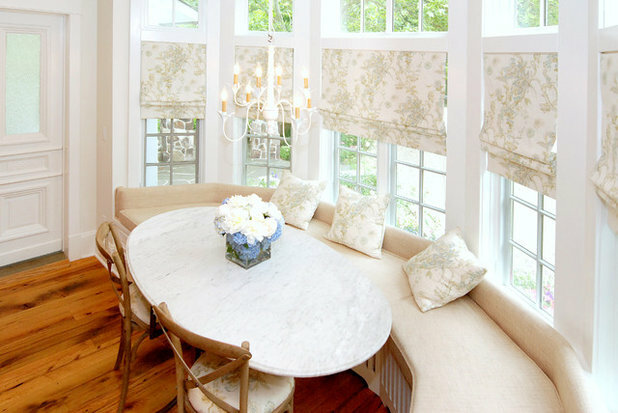 Since they, along with blinds and shutters, can be mounted within the window frame, the ample unused wall space above and beyond the frame begs to be hung with additional layers. 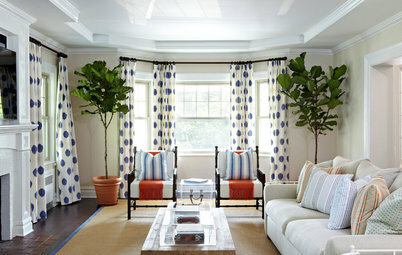 Here, we see sheer curtains draped over more opaque shades, both of which inject texture into a neutral space. 8. Repeating. 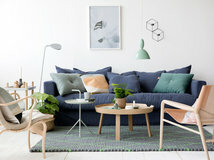 It is a well-worn but perennially relevant decorating adage that repeating a pattern or color three times within a space is a foolproof way to create a coordinated, visually pleasing room. Here, we see this rumored effect in living color: The delicate floral pattern featured on the shades, pillows and chair seats unifies this breakfast nook and imparts a simple, uncluttered elegance. 9. Headrail-mounted. 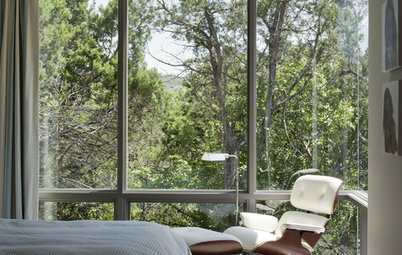 For maximum functionality and the ultimate custom solution to a glass-enclosed conservatory like this one, multiple shades mounted on one headrail allow for a visually seamless, uninterrupted flow of fabric across the entire expanse, while each shade can be operated individually. To block unwanted sunlight, you can mount multiple shades on the same headrail, allowing the ability to lower only the two corner shades. 10. Roller shades. 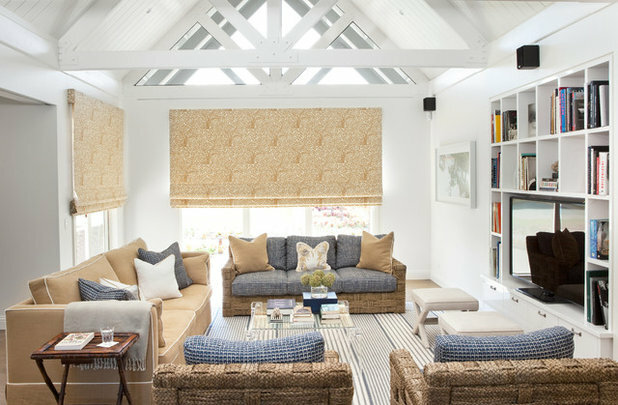 Roller shades, which are essentially flat stretches of fabric that unfurl from a hidden roll mechanism, provide an ideal way to showcase a unique fabric. 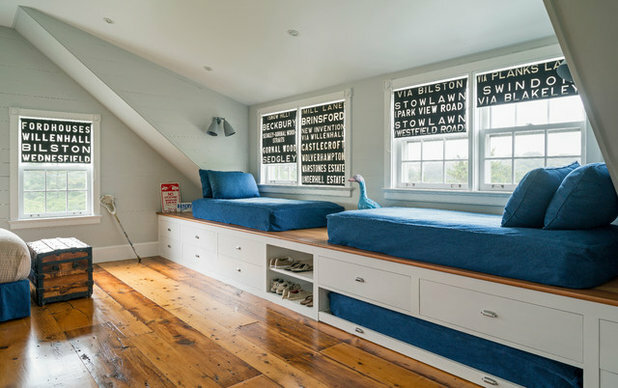 Others on Houzz have repurposed vintage sheets, hand-painted their ideas on a couple of yards of fabric, or designed and printed their own fabric through websites like Spoonflower. 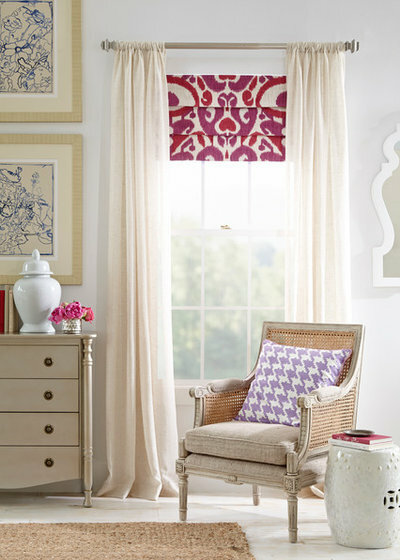 Roller shades and flat Roman styles are the best for showcasing special fabrics — the flatter the treatment, the more like a canvas your shade becomes. 11. Arched. 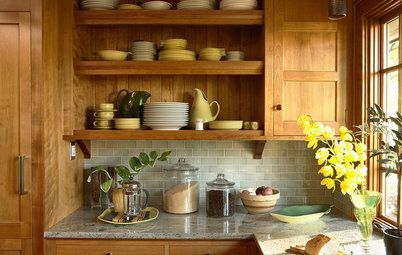 Shades are one of the top strategies for dealing with a specially shaped window, like an arch. Nearly every type of shade, from energy-efficient honeycombs to billowy balloon shades, can typically be curved into an arch, angled into a trapezoid or otherwise fitted to unique window dimensions. 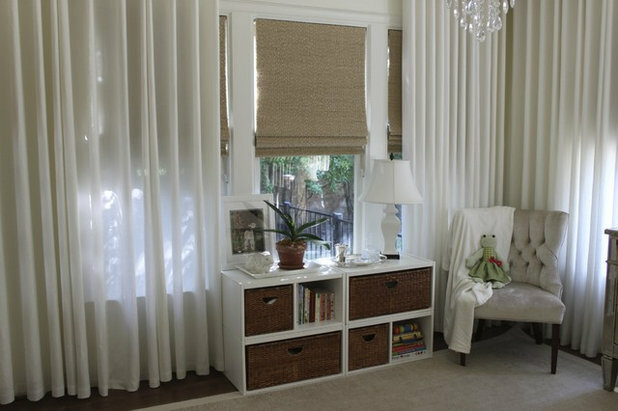 We have found woven wood shades (similar to #3) beautiful but prone to malfunction and wear, especially if oversized. 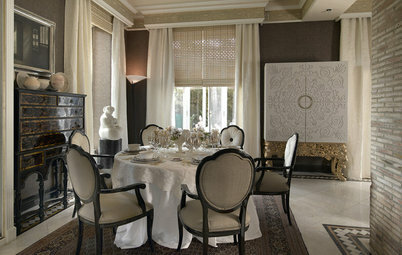 Window treatment is most important part of your home improvement which attracts your visitors and outsiders. In this blog I don't found the more information about the windows. So i just want to suggest you one of the best service providers of an window treatments "All Star Solar Screens" they provide the best service around Texas. Great collection, amazing picture. I really love your idea ,so keep going with new updates . Thank You so much !